The Mount Rushmore National Memorial is a sculpture carved into the granite face of Mount Rushmore in South Dakota in the United States of America. Sculpted by Danish-American Gutzon Borglum and his son, Mount Rushmore features 60 foot sculptures of the heads of four United States Presidents: George Washington, Thomas Jefferson, Theodore Roosevelt and Abraham Lincoln. Construction started on the memorial in 1927 and the Presidents faces were completed between 1934 and 1939. Mount Rushmore has become an iconic symbol of presidential greatness and attracts nearly three million visitors every year. 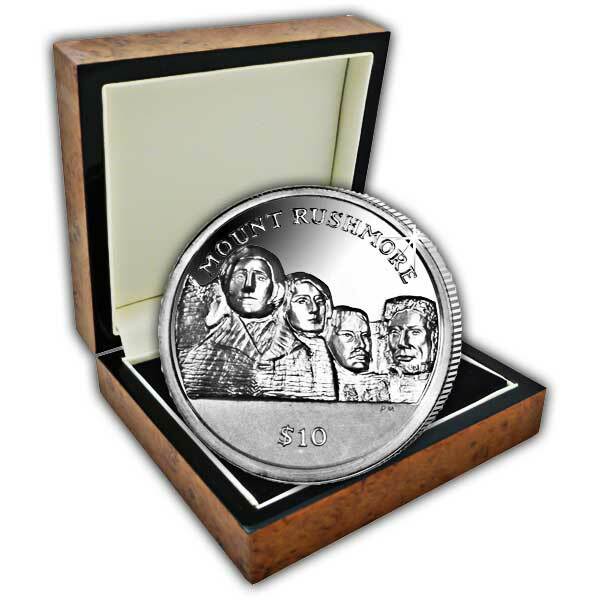 As a tribute to this amazing memorial and to replicate the setting of the monument within the mountains, the ultra high relief coin has been produced with the amazing sculptures of the four famous American Presidents rising above the surface, the coin is a stunning feat of engineering as is the original monument. 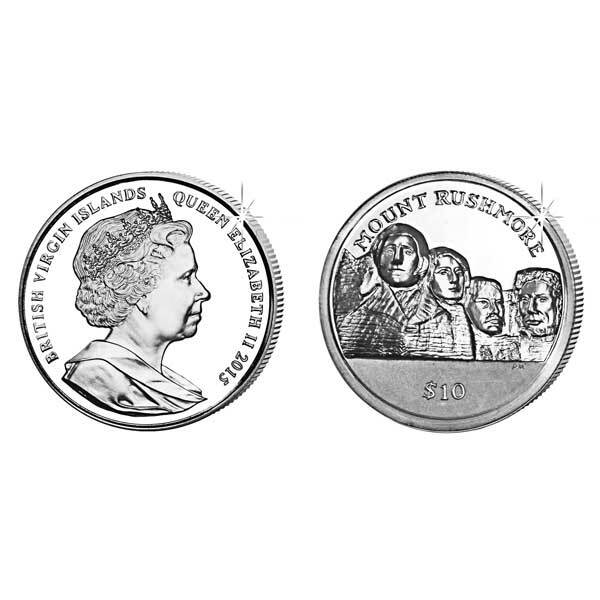 Available as a 1oz Fine Silver, the obverse of the BVI coin features an effigy of Her Majesty Queen Elizabeth II by Ian Rank-Broadley FRBS. Each commemorative coin is detailed to perfection and struck to the highest quality to attain the famous Pobjoy Proof finish and is presented in a beautiful walnut effect box.